Learn more about the amazing network of parks, trails and amenities along the Anacostia River in the heart of Washington, DC. Follow the links below to discover what opportunities and adventures await you. It's the Year of the Anacostia! 2018 is the Year of the Anacostia - learn more about why this is a major time in history for the Anacostia River, and check out the hundreds of events available all year long! 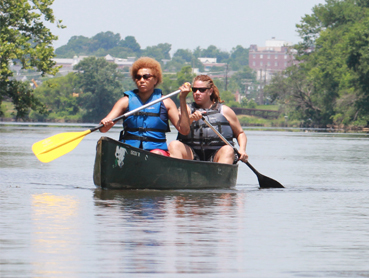 You can launch a canoe, kayak or other boat and explore the Anacostia River! Fishing is a popular sport on the Anacostia River – just be sure to get a license and practice catch and release. 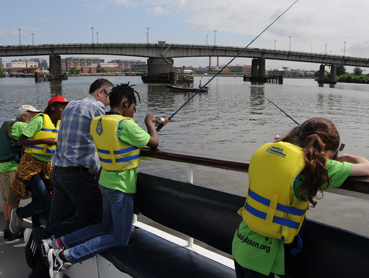 Learn more about ways for kids and young adults to get involved in the Anacostia River. The Anacostia RiverWalk Trail offers over 15 miles of separated, multiuse trails along or connecting to the Anacostia River in DC and Maryland. The Capitol Riverfront neighborhood is a waterfront destination, providing waterfront parks, large events, shopping and more. The Anacostia Pool and Recreation Center provides an outdoor swimming pool along the banks of the Anacostia River and offers swimming lessons, water aerobics and other activities for residents during the summer. The Kenilworth Aquatic Gardens provide a beautiful natural setting and an opportunity to see birds, wildlife and rare plant species. 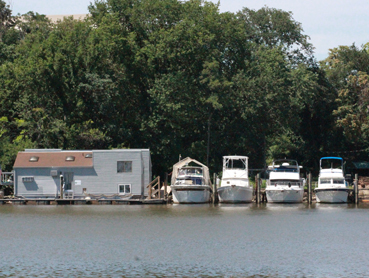 Kingman and Heritage Islands offer a natural refuge from the busy city – in the middle of the Anacostia River. The Aquatic Resources Education Center (AREC) is a multi-use education and aquaculture center located in Anacostia Park in southeast Washington, DC. 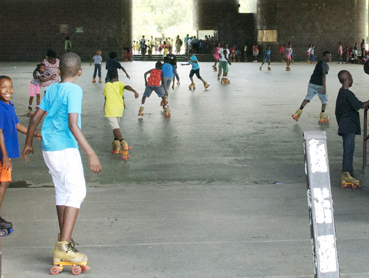 Anacostia Park is home to the only skating pavilion in the entire National Park system! The skating pavilion is open for public use during the summer and provides free skate rentals during certain hours. At the Nicholson Street SE entrance to Anacostia Park, a pirate-ship themed playground offers opportunities for both kids and adults. The US National Arboretum is a federal research facility that features public gardens, leisure areas and educational programming for visitors free of charge. The proposed 11th Street Bridge Park will be constructed on the piers of the old 11th Street Bridge connecting both sides of the Anacostia River. The strip of waterfront from the 11th Street Bridge to the CSX Railroad Bridge is known informally as Boathouse Row, home to four historic private yacht clubs. 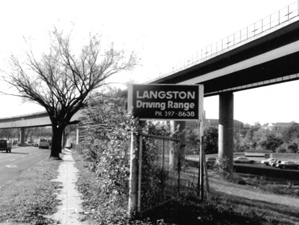 Langston Golf Course is an historic public 18-hole golf course named after John Mercer Langston, the first African American elected into public office. Kenilworth Park features recreational fields, tennis courts and access to the Anacostia RiverWalk Trail all within walking distance of several neighborhoods. This section of Anacostia Park features recreational courts and views of tidal marshes and Kingman Island. Buzzard Point Park is currently being redesigned by the National Park Service to become a unique urban park with a mix of active and passive recreational opportunities. Robert F. Kennedy Memorial Stadium is the former home of the Washington Redskins, the Washington Senators and the Washington Nationals. Poplar Point is the current headquarters of the National Park Service National Capital Parks-East division and the United States Park Police. Have suggestions to add or corrections to make to this waterfront guide? Please send us your thoughts.